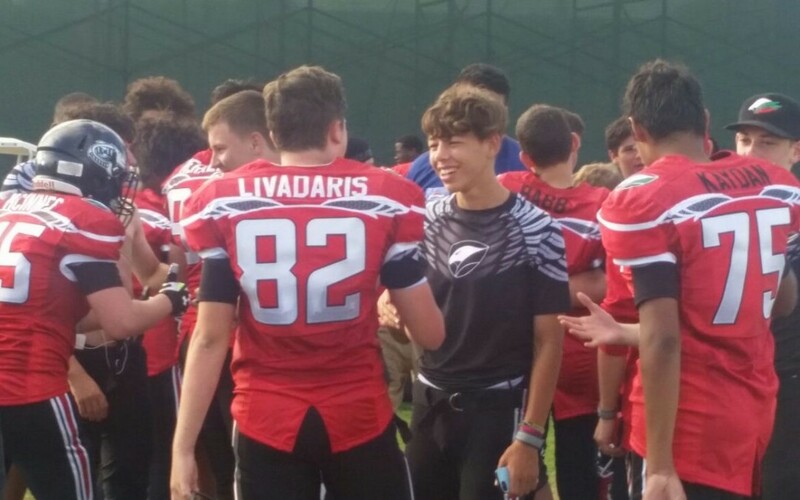 The international youth American football players taking part in the Global Football-organized international games at the Pop Warner Super Bowl will enjoy a special event in Orlando tonight. Global Football’s first International Celebration Party in seven years of bringing teams from around the world to the Pop Warner Super Bowl will be held this evening ‘backstage’ in Hollywood Studios, where all guests from Canada, Finland, Mexico and the UAE will gather for food, conversation, and fun. They will each be welcomed by Mike McCoy, a longtime friend of Global Football founder and president Patrick Steenberge, who starred as a defensive tackle for Erie Cathedral Prep, University of Notre Dame and the Green Bay Packers. Mike will pose for photos, sign autographs and present a positive life message for everyone there. Then the group will head over to the Animal Kingdom for the Pop Warner Celebration and party with 15,000 other athletes and supporters from the United States. Thanks to Pop Warner for arranging all! The teams saw action on the field on Monday and return to action tomorrow, Thursday. Newcomers Finland put up a brave fight but could not overcome a series of turnovers in a 30-0 loss to Canada at the Varsity level, while the JV team played 11-on-11 football for the first time and lost 27-0 to Puebla. The day’s other games saw Queretaro from Mexico defeat the EAFL Falcons 36-6, and the team from the UAE triumphed 13-7 over Puebla.